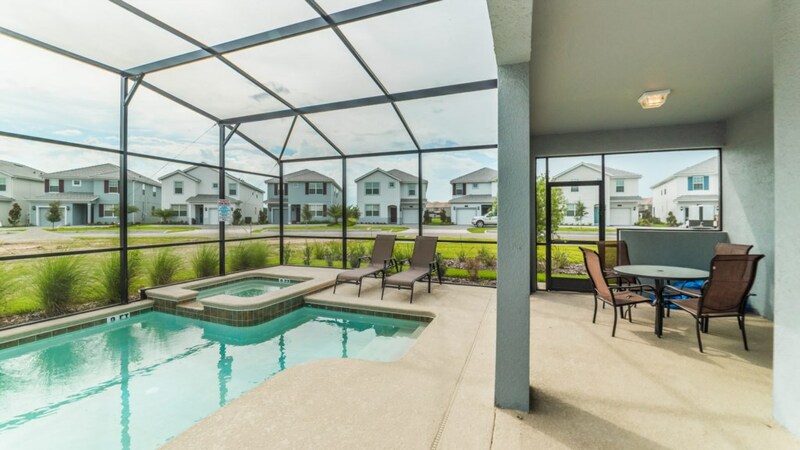 Welcome to this magnificent Grand Collection home located in the resort community of Storey Lake. 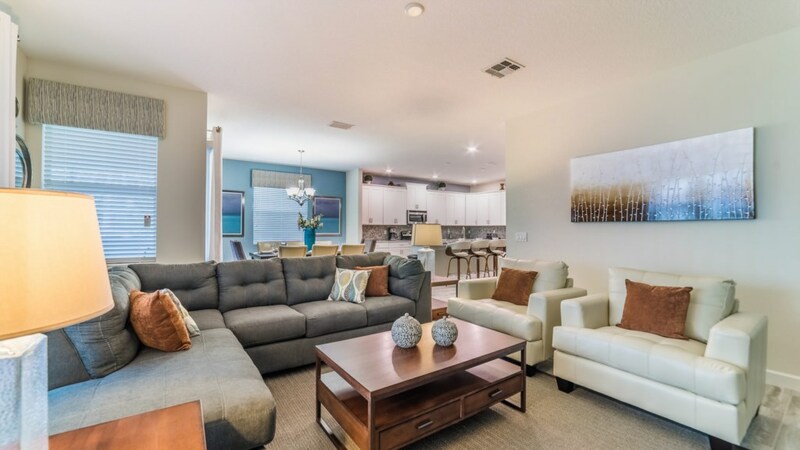 This home has the coveted Grand Collection status since it is expertly designed for the comfort of every guest. 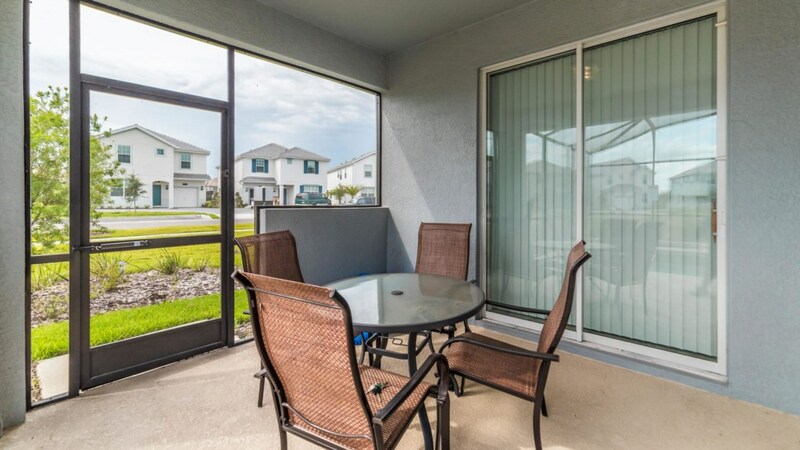 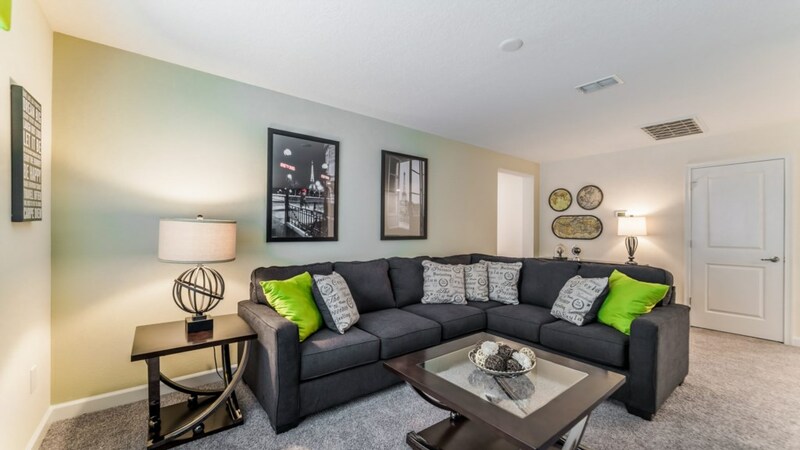 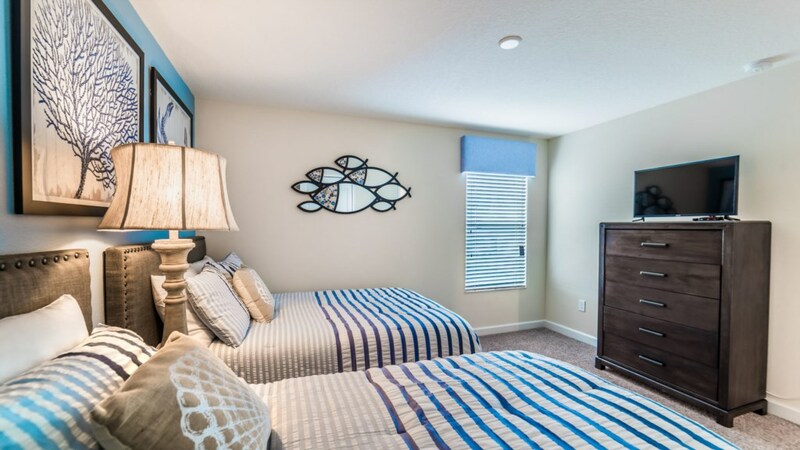 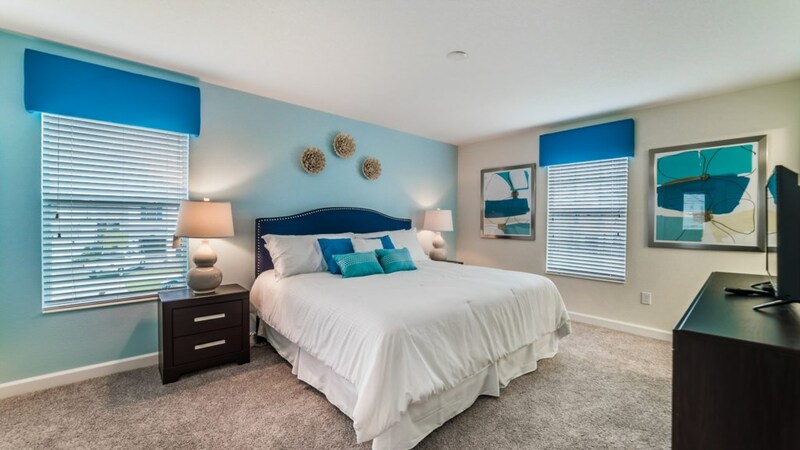 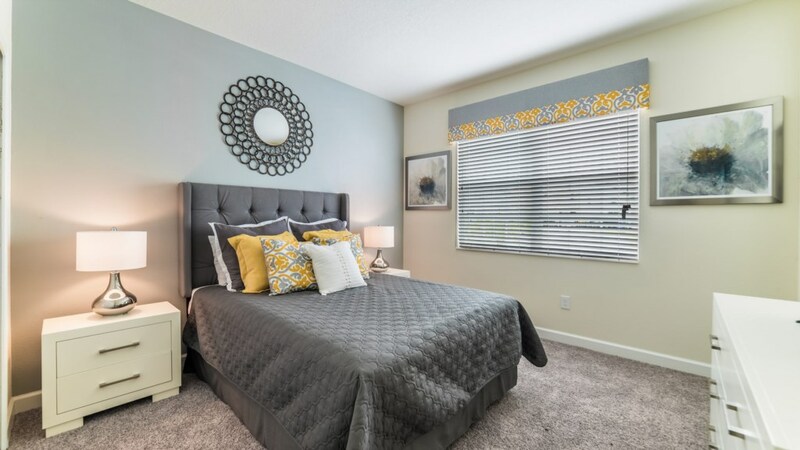 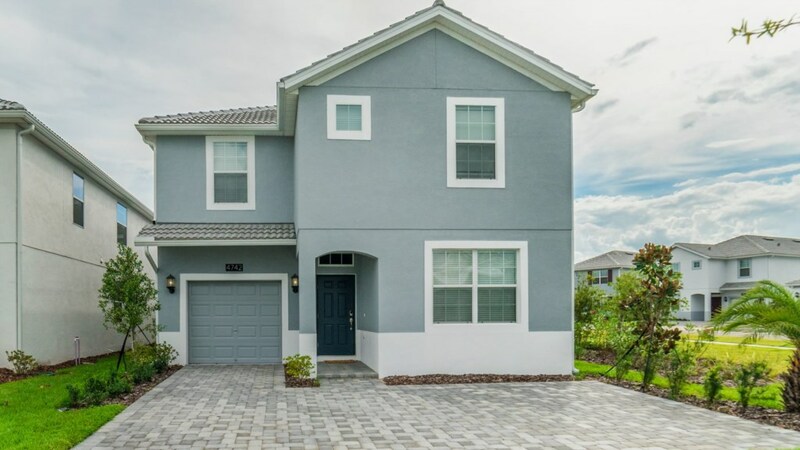 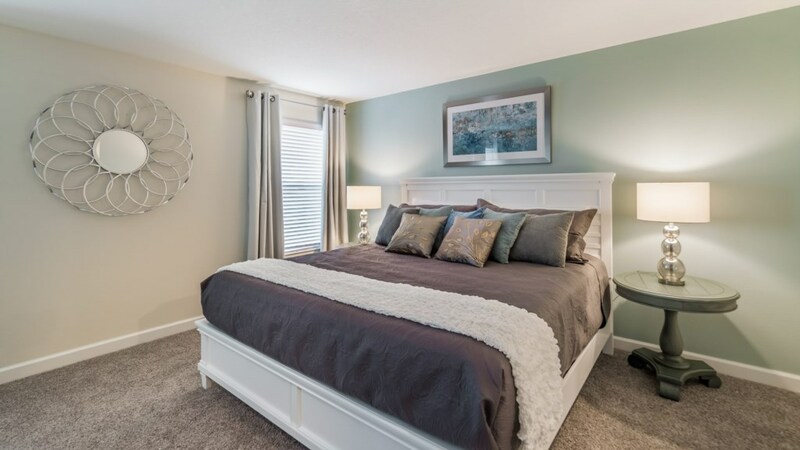 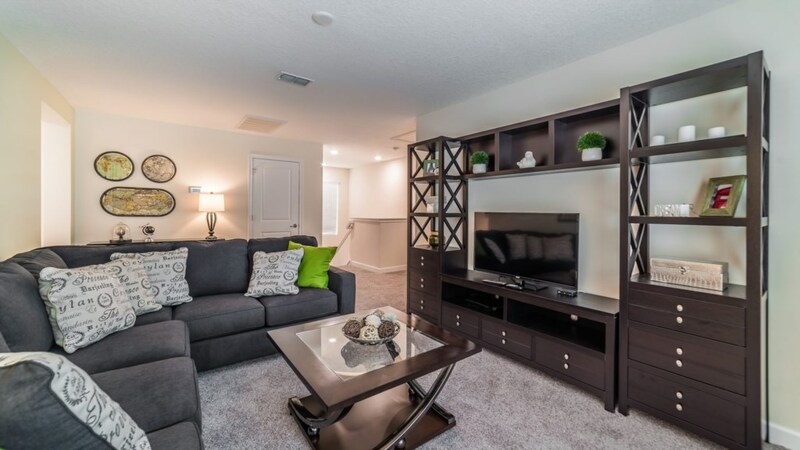 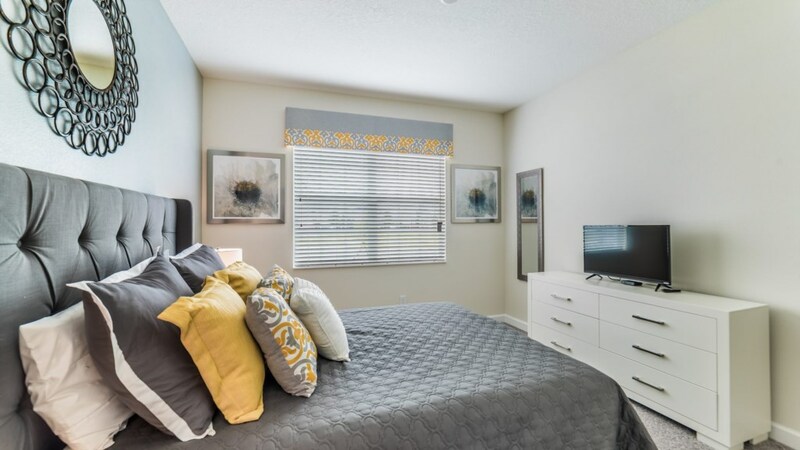 This 6 bedroom and 5 bathroom home provides everyone in your party with plenty of space to call their own for your vacation to the Orlando area. 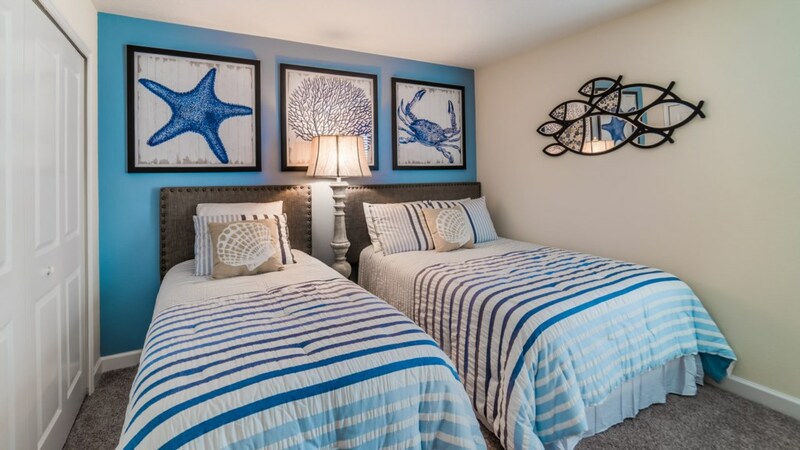 With 2 king bedrooms, 1 queen bedroom, 1 bedroom with a full and twin and then 2 bedrooms with 2 twin beds, everyone will have their own space. 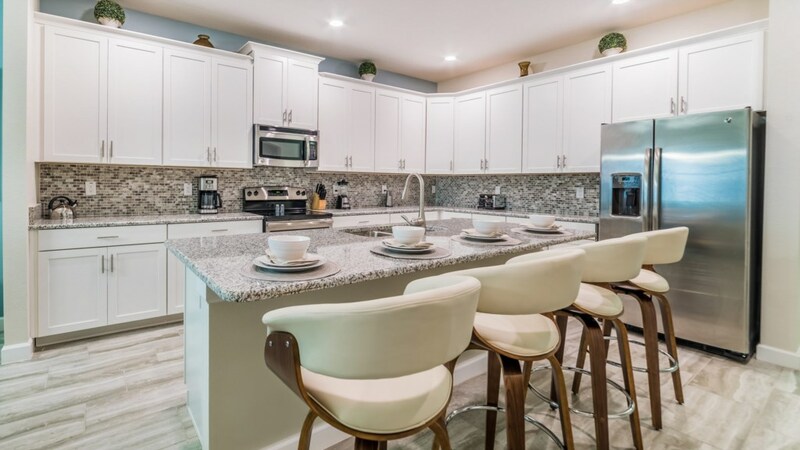 The kitchen in this home presents itself to any aspiring chef. 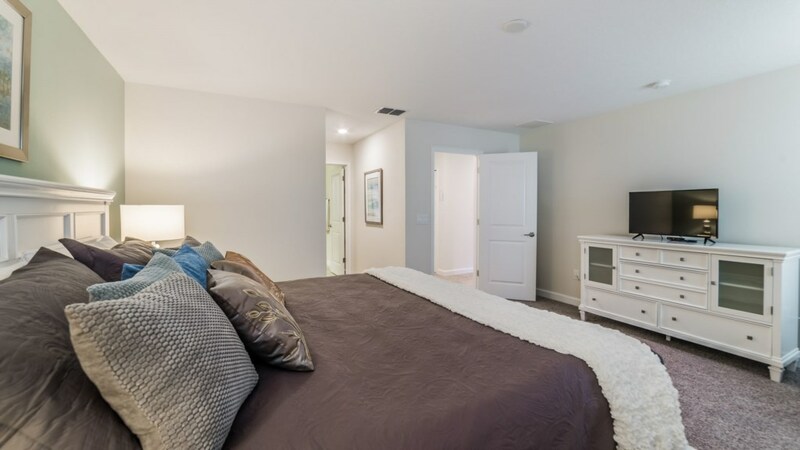 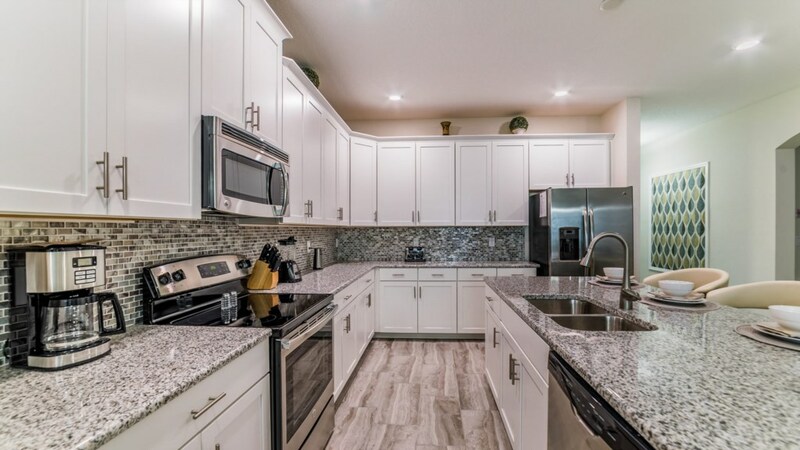 With beautiful cabinetry, upgraded appliances and much more, anyone will be happy to cook here. 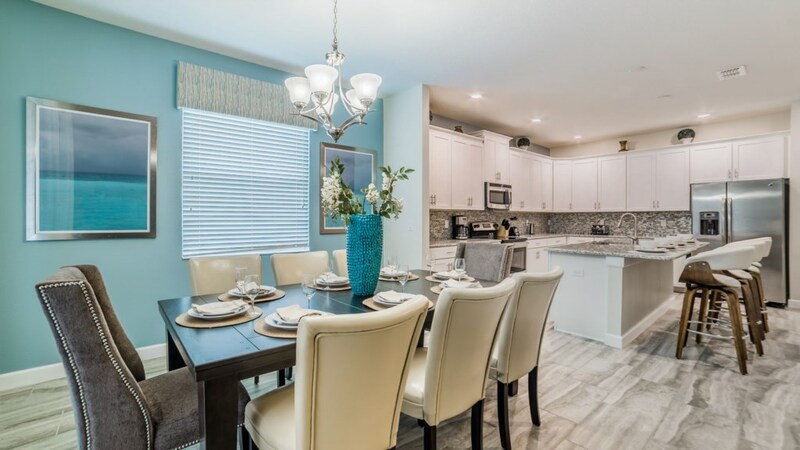 The kitchen overlooks the 8 person dining room table as well as the breakfast bar which provides ample seating for all family dinners. 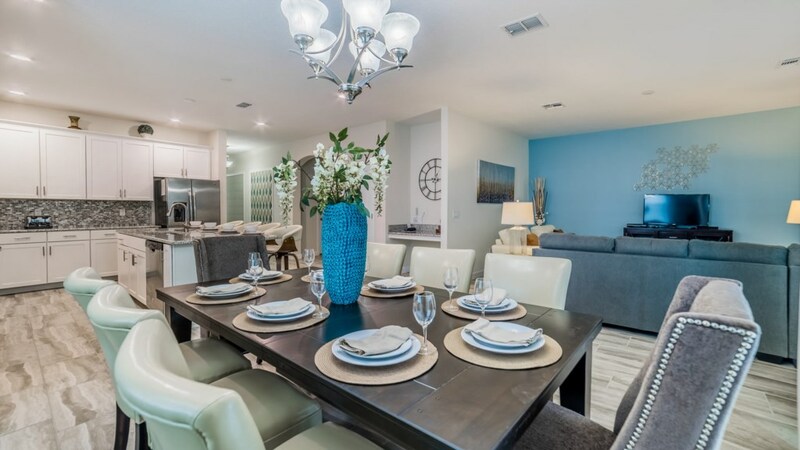 The dining room then overlooks the living room. 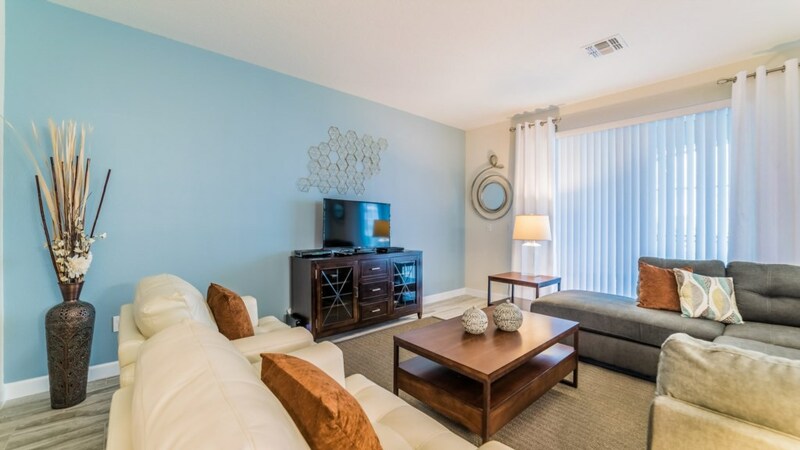 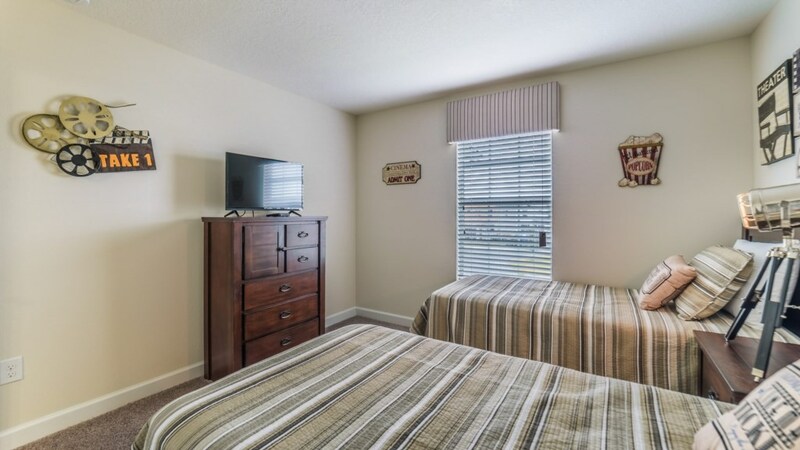 With a cozy wraparound couch and plenty of seating for all, feel free to relax all day. 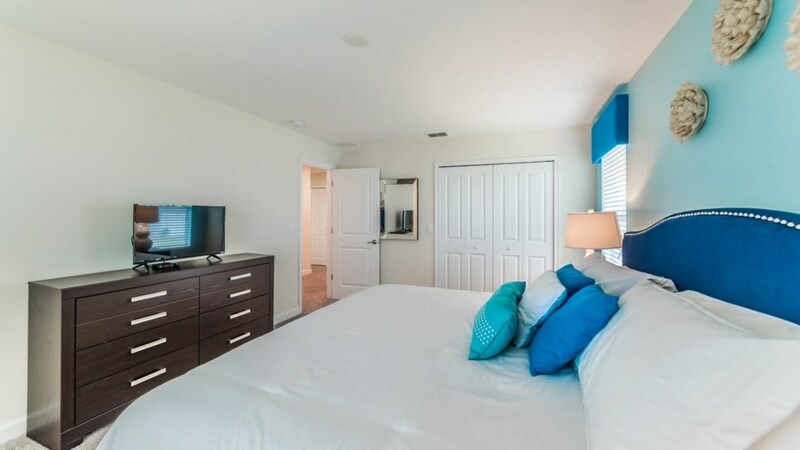 The 42” flat screen with blu ray player also lets you catch up on any TV shows. 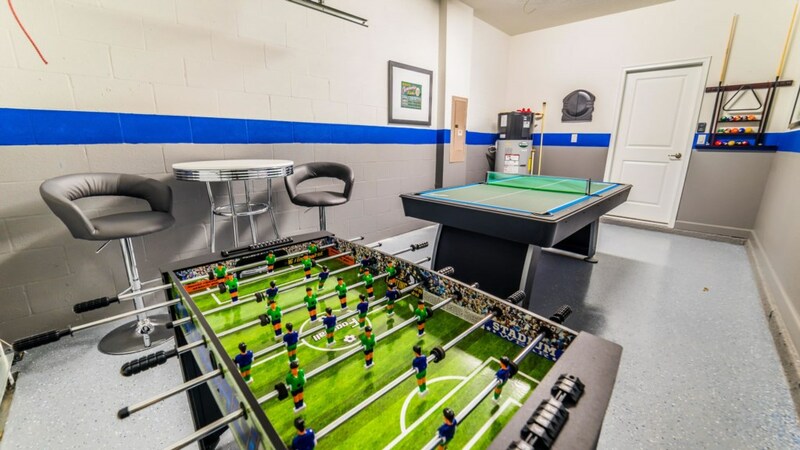 If that's not enough, head upstairs to the loft which has all the amenities of the living room. 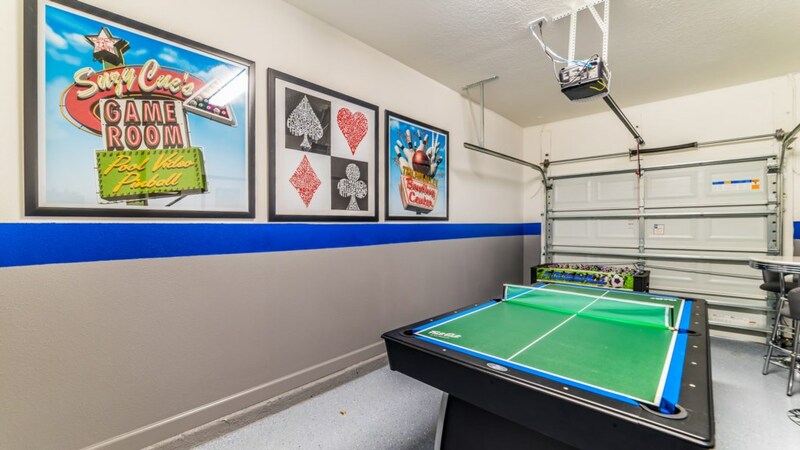 If friendly competition sounds like fun, head over to the game room outfitted with billiards and foosball. 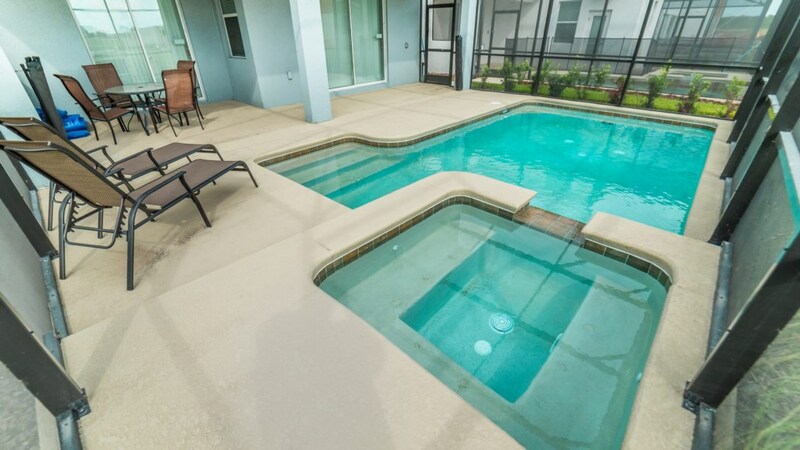 If you’re looking to cool down, you can head out back to this home's very own pool and spa. 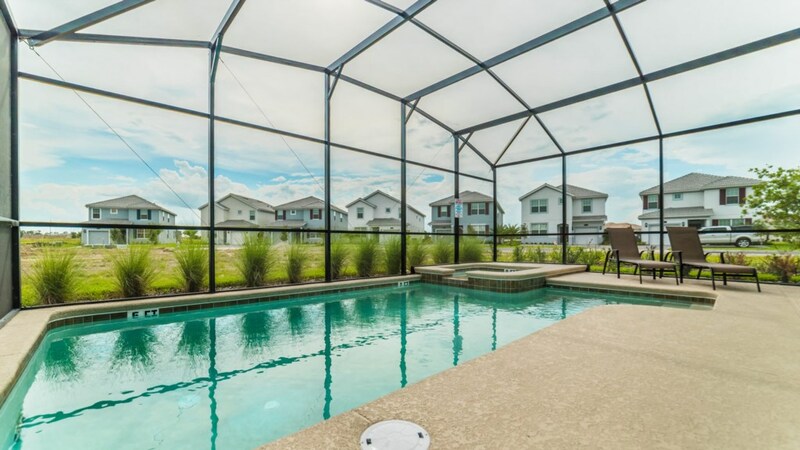 Live the Florida lifestyle and lay out all day. 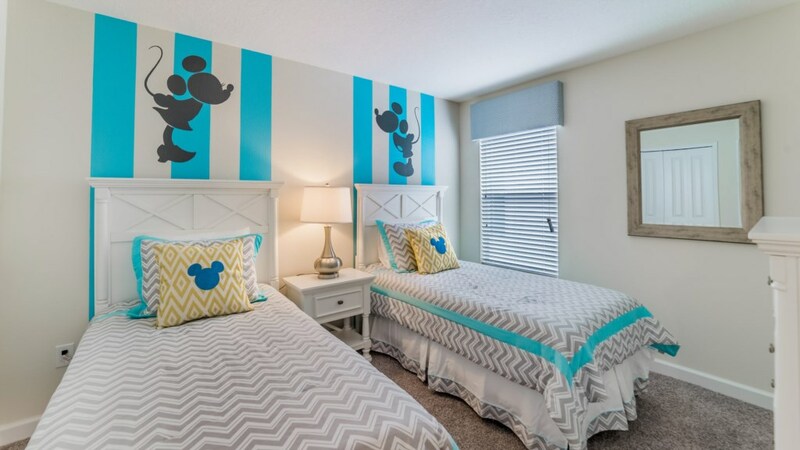 A major benefit to staying in Storey Lake is its proximity to the magic of Disney and shopping. 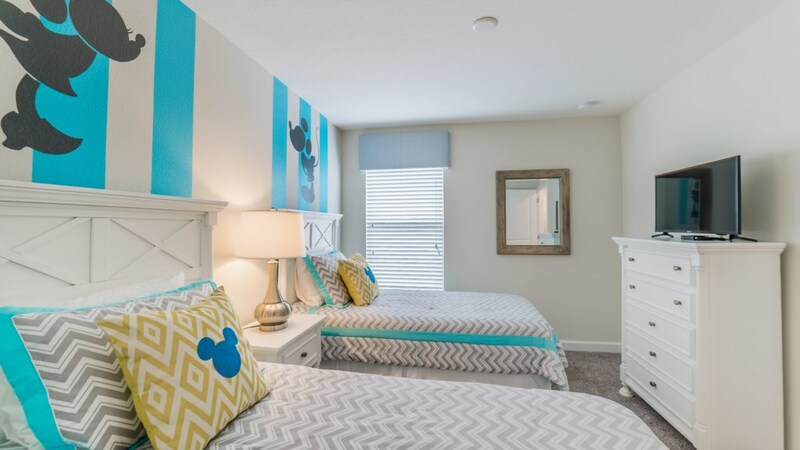 Disney Springs is only a few miles down the road while shopping is just a stone's throw away. 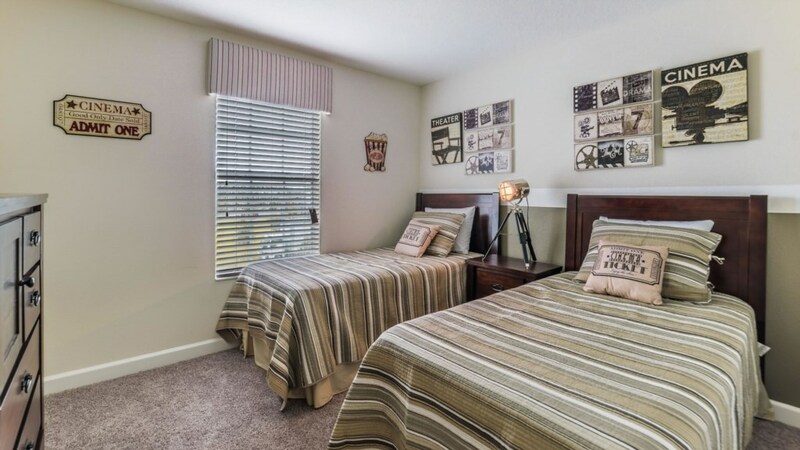 Stay here and enjoy all of what the Orlando area has to offer.